Toto Wolff feels Valtteri Bottas' rally outing during the close season was a key factor in the Finn winning the Australian Grand Prix. An outing in the Arctic Lapland Rally reinvigorated Australian Grand Prix winner Valtteri Bottas, according to Mercedes chief Toto Wolff. Bottas ended a 22-race wait for a Formula One victory in Melbourne by overtaking Lewis Hamilton into the first corner and going on to take the checkered flag with a cushion of over 20 seconds, the Finn also earning a bonus point for posting the fastest lap. Wolff believes a January drive in the M-Sport Ford Fiesta that Sebastien Ogier steered to World Rally Championship victory in 2018 played a key role in the 29-year-old responding to his critics with a resounding win in the season-opening race. "Very pleased [for Valtteri], especially after the second half of the season he was completely written off," Wolff told Sky Sports. "People didn't think he was up for the job and he answered back in the most dominant way, completely controlled the whole weekend. "I just remember his early years in Formula 3 when he was the benchmark and he would destroy everybody and somehow that was lost last year. When he came back from the winter, he said: 'I'm back.' I think he rediscovered the joy of driving with his rally outing and mentally he remains strong." 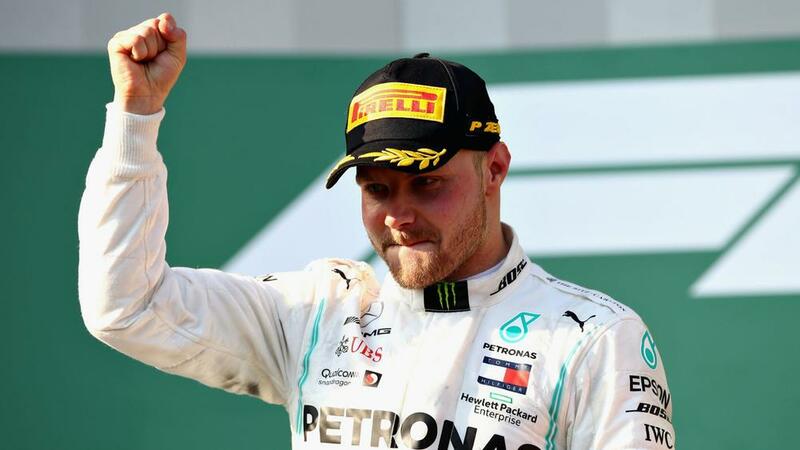 Bottas' barren run in 2018 was partly down to Mercedes enforcing team orders that saw him hand victory at the Russian Grand Prix over to Hamilton, and he admitted it was initially tough for him to put a disappointing campaign behind him. "For sure, it's not easy after a season like that," Bottas told Sky Sports. "If you put yourself in my position where you have big goals and you definitely fail to achieve those and you're a way behind your best level, it's not easy. "To come back from that definitely took time. Over Christmas and the new year, I still wasn't feeling good at all, but the beginning of January I got myself together and got the inner strength." Mercedes comfortably outpaced the Ferraris in Australia despite the Scuderia appearing to be leading the way during preseason testing. However, Sebastian Vettel struggled in the second half of the race and finished fourth, one place ahead of team-mate Charles Leclerc, as Mercedes sealed a one-two with Hamilton taking second. "I think we were surprised that we had such a good pace and that they didn't have any pace at all," added Wolff.